Atlast people are talking about it !!! “Life has changed. I never knew this small cloth has such a big value in my life. Right from the beginning my mother told me it’s my sin which comes out as blood. I used to wonder- am I such a bad person that every month I commit so many mistakes?” Bano can talk endlessly on how the small piece of cloth in the shape of sanitary pad has changed her life. Not just the physical comfort and the feeling of well being, it’s about basic dignity of Bano and millions of women like her who are forced to use things like sand, ash, jute gunny bags, pieces of paper, rugs, rags anything which can absorb- in the name of a basic need called sanitary pad. Face it, it is a highly taboo and closed subject or issue. I remember when few years ago we started opening the subject and initiated dialogues in public- in rural areas, urban slums, corporates, schools- anywhere and everywhere it brought on a distinct discomfort followed by shock among the people. They felt connected with the reality but highly disconnected with the fact that everyone took such a major issue for granted. Today GOONJ produces about 2,00,000 napkins a month and we can see ripples. The subject is opening; more people are getting into talking and doing something about this. The central government announced plans of reaching pads to 150 districts, the implementation is yet to be seen and we need to see how it unfolds but leave apart the merits and demerits for a moment, we are happy that at least people have started thinking about this most ignored need of women on a policy level.. 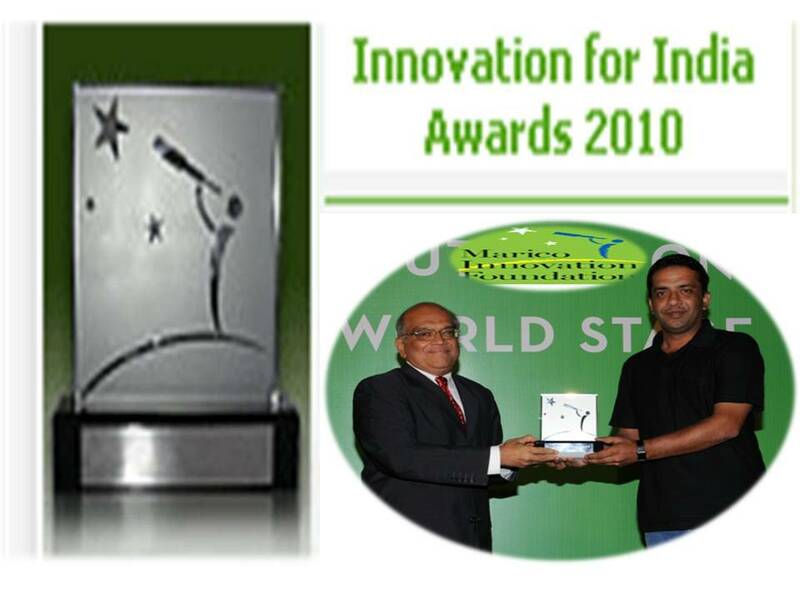 Recently GOONJ was awarded Innovation for India Award a proud moment for everybody who trusts and supports us. It is humbling to see that using old cloth as a resource for village development and turning old cloth into a sanitary pad is appreciated in the middle of hundreds of other technical and social innovations. The replication is already happening on various levels, we are looking forward to a day when people understand the power of old material not as wastage but as a huge resource. Through this small note I want to invite and involve you in the ‘Joy of Giving Week’ a nationwide campaign (from 26th Sept to 2nd Oct). With a dream to make it an annual festival of giving, it was launched last year with massive participation from all over the country. It needs to become a festival, which is owned by the masses of India; right from the aam aadmi to a CEO, owner of a company, a school, college, corporate- anybody and everybody can become a part of this. GOONJ is all set to organize VASTRA-SAMMAN & SCHOOL to SCHOOL campaigns across the country in this week. Do join us. Make it a mass movement. Share what you have and however you can. Refer ; become a part of it. On www.goonj.org we have put up a series of reports and feedback on GOONJ’s intervention in Bihar floods, Andhra Karnataka floods, Pratibimb 2010 and on initiatives like Sujni. Do check the website for a quick update. GOONJ is also looking forward to a big participation for the upcoming Meet for Change in Delhi on August 21st and 22nd. Register before August 15th. Looking forward for your active participation. As you read this newsletter, Leh is completely devastated by flash floods. Reaching relief to the people of Leh is a priority now. Do refer www.goonj.org in the coming days for more information on this.